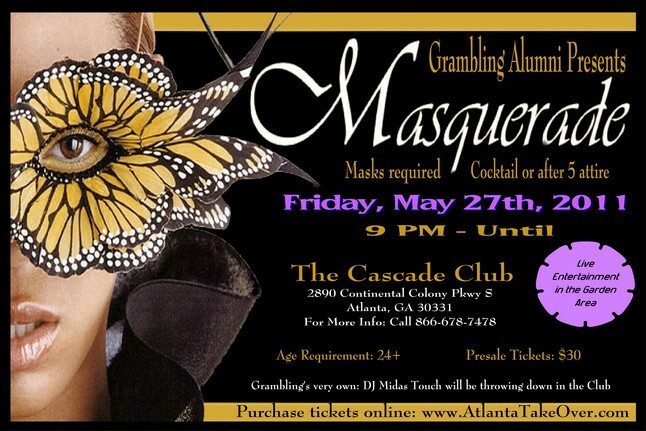 Grambling State University Alumni All Classes Reunion events are open to all alumni, past students, family and friends. Flyers for each event are below. You may right click on it to download it to your computer. We require payment in advance to reserve rooms. We will have a DJ & live entertainment. Listen to jazz under the stars in the garden or dance in the club where the DJ will be throwing down. Cocktail or After 5 attire is required. Age requirement to attend is 23 or older. Sand Volleyball, Softball, Kickball, and more. The park has a running and bike trail. Picnic is from noon to 4 pm on Sat, May 28, 2011 at Tolleson Park in Smyrna, GA. Picnic is open to all ages. 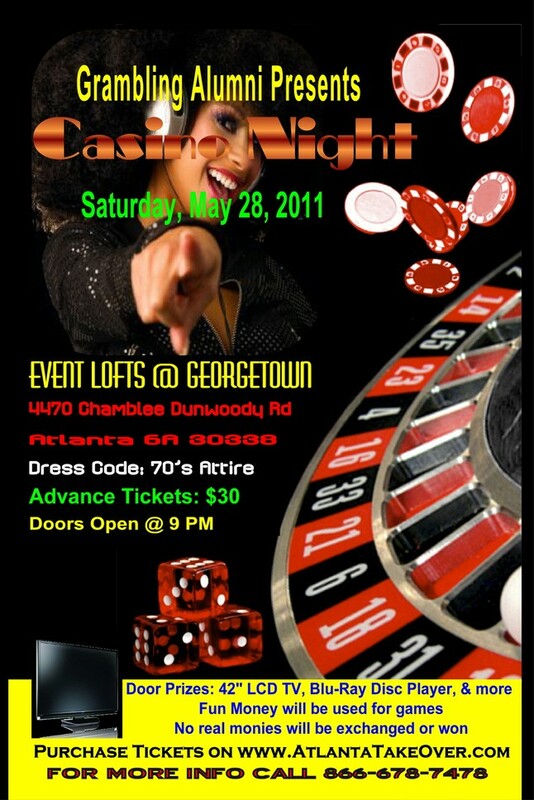 Door prizes includes 40" LCD TV, Blu-Ray DVD Player, 7 day Avis Car Rental, and more. You do not have to play games to win a door prize. Casino games will be played with fun money. No real monies will be exchanged or won. Age requirement to attend is 23 or older. Two rooms to choose to party in. We will have a DJ & live entertainment. Dress in white, black or both. Age requirement to attend is 23 or older. 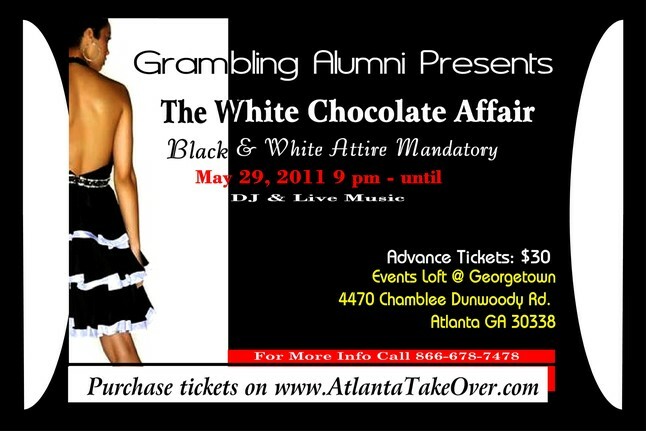 Event Tickets: Discounted tickets can be purchased on http://www.AtlantaTakeOver.com. We will run specials until May. Ticket prices are based on the number of tickets sold. We have a certain number of tickets at each price level. Once all the discounted tickets are sold, you may purchase them at the next price level. Business Owners: If you own a business and would like to advertise in the Alumni Business directory, a business card size ad is $50. Details are on www.AtlantaTakeOver.com. Receive 5% off American Airline use American Airline promo code: 6851BR. Valid Travel Dates: May 25, 2011- Jun 10, 2011. May be used for travel anywhere American Airlines fly to or from ATL Airport.